Spanish La Liga has signed a new collective TV rights deal for the spanish division 1 which will come into play starting from 2016-17 season. Unlike the previous seasons, 2016-17 La Liga season will see a lot more balanced distribution of La Liga tv and central sponsorship money. However, Real Madrid and Barcelona are both set to keep their usual earnings under the new system as well. Below is the entire prize money distribution system and how much every club in spanish top flight will earn this season. 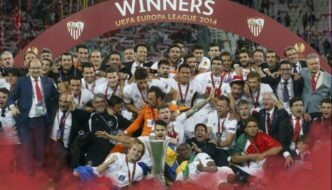 Unlike the previous model, every top division club had to negotiate their own TV rights deals but La Liga passed historic bill in 2015 which ensured collective sale of La Liga tv rights both domestically and oversees. 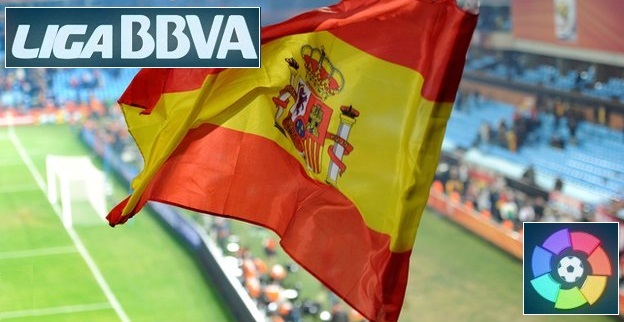 Telefonica, Movistar bought the domestic live tv rights for around €1.89 billion in 3 year deal while mediapro also splashed out €750 million for three years making it a total of €2.63 billion over three year domestic deals. La Liga also sold collective TV rights in oversees markets around the world and got a substantial increase in oversees TV money compared to previous deals. 2016-17 distribution model: With the new TV money distribution model, La Liga will put both domestic and oversees yearly TV money in one pot from which 10% will be allocated for division 2 teams. While rest of the 90% will be distributed according to following model. Merit Money: 25% will be distributed according to league positions based on last 5 years. Resources Generation: 25% will be distributed according to each team’s capacity of generating resourses for examble number of official club members, season tickets sold, attendance etc. With the previous system the top clubs tv rights money and bottom clubs was huge with Real Madrid and Barcelona pocketing as much as €140 million each with their individual deals. While bottom clubs like Las Palmas could barely make €18 million in tv rights money. But this all is about to change starting from next season when new collective deal comes into play that will enable even the bottom sides to make as much as €60 million per season. But the new deal has a clause where Real Madrid and Barcelona won’t take any hit in their TV rights revenue enabling them continue earning in the region of €140 million a per. @J : Yet the world prefers watching EPL over La Liga because of the better parity. EPL’s TV ratings are number 1 for a reason. You don’t think the both clubs will run riot in EPL, I laugh at you in portugese. Yet d both clubs are running riot against EPL top guns. 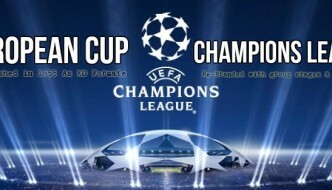 Really….they r running riots 4 the lst 4 yrs in europe….& u r talking abt BPL!!!!! 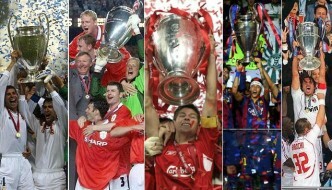 !not a single team in the last 4 of lst yrs UCL!!!!! @thami…you don’t think Real and Barca would run riots in premier league, how come they have consistently run riots in the UCL? where are the English teams? Bale, the same playing with Real Madrid has addressed that topic, he said that the premier league is to demanding, the player need to give 100% in every game against every team top an bottom, and he said that the league has no mid season break like others league around the world (like la liga for example)… Others league consistent on a perpetual 2 o 3 teams that dominate the league every year, less demanding for the players. Note: please excuse my English it is not my primary language. Bale should remember he’s playing for a top european club now not like spurs. If he was playing for atletico or sevilla he would have to give 100 % every game coz they don’t have the attacking talent of the top two. Well they’ll be back soon, but hey what good would that do when UEFALONA and UEFADRID are getting away with offside goal’s and what not. Even the great c ronaldo,will tell you how hard the premier league is.if chsea isplaying stoke city on Saturday and also champions league semi against barca on a Tuesday can it be compared to barca playing osasuna or levante or granada or real betis before the semis?let me tell you,stoke can afford to pay rakitic morata thier current wages but these laliga teams I mentioned cant.barca have won 7 out of ten laliga.juve hv won six straight seria a,they bought the best player in napoli higuan and also bought pijnic from roma paralizing seria a,why won’t they be in the final.bayern have won five straight bundsliga after paralizing dutmond buying their best players.these teams don’t hv a league they only hv champions league to play for. sometimes i wonder why people don’t face the truth in life, i think its now obvious that pep guardiola struggled to make the top four in the league, back then at barcelona and Bayern Munich when he was having a nice time and parading himself as one of the best coaches in the world but the truth is that the English league do not perform better in other domestic leagues because they only have one or two confident and best players in a particular team unlike in Spanish where you are surrounded with bunch of five to six good and confident best players, and the officiating is very soft and considerate to teams and individual players so why will the English teams perform better with all these huge and major facts, am not a Chelsea fan but watchout for Chelsea football club at other domestic leagues next season now that they have about 5 to 6 good and confident players and am gonna want comments concerning these facts if anyone finds it interesting but i must say no sentiments or abusive or rude statements ok. i rest my case. if the league system is the same epl clubs would run riots in UCL. Epl clubs overuse their stars for domestic matches, just as Bale said; there are no easy teams. The prize money again makes UEFA competitions like nothing. Relegated Sunderland will get £100 while UCL winner get £52m, UEL winner to get £25m that is just merit money for each and every club in the premier league. ? People should for once give credit to EPL. All Epl matches are good to watch and some times you can’t predict the results correctly on like La liga. Coming to UCL, Spain has won it 16 times btw just 2 clubs Real 11 and Barcelona 5. Italy 12 times btw 3 clubs Juve 2,Milan 7 and Inter 3. 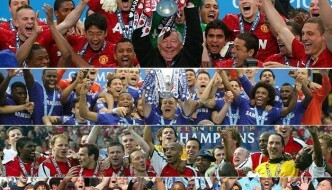 Epl 12 times btw 5 clubs Man U3, Liverpool 5 Nottingham forest 2 Aston villa 1 and Chelsea 1. In terms of participation fee all Epl clubs have a guaranteed £85m each unlike La liga with only Real and Barca collecting €140m while the other clubs as low as €18m. How can they compete? Epl remains the best league. However you people sees it, EPL is the most watched, entertaining and contesting league in the world, no wonder why it attracts mind blowing revenues in the world. The truth is that EPL organisers and the clubs don’t care about European matches that is why a team that has champions league match in EPL can play premier league match on Sunday prior to the game because of the advertising money the game will bring. Spain may have the best legs but every premiere league game is full of full, intrigues and excitement.